Political leaders cutting acoss party lines paid tributes to former Lok Sabha Speaker Purno Agitok Sangma on his 71st birth anniversary on Saturday. 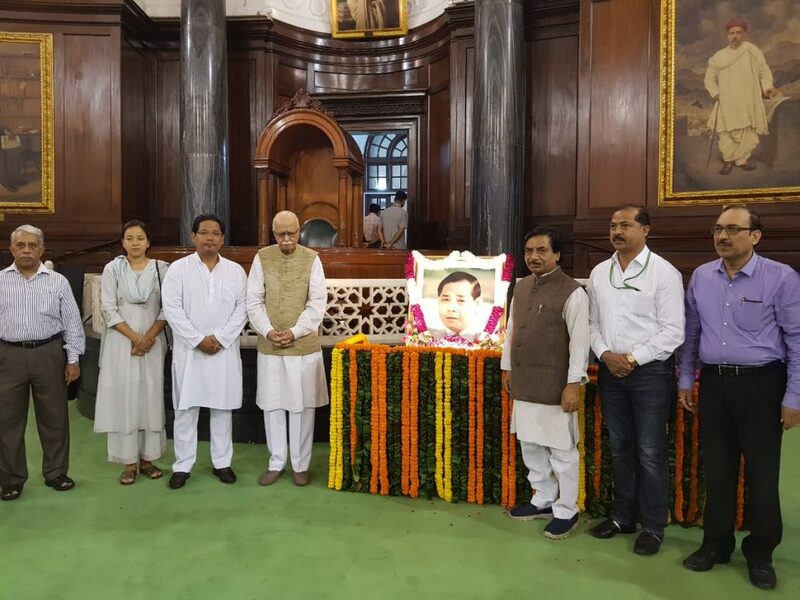 Veteran parliamentarian and Bharatiya Janata Party (BJP) leader L K Advani, Meghalaya Chief Minister Conrad K Sangma, Shillong MP Vincent Pala and others assembled at the Central Hall of Parliament to pay tribute to the leader who passed away in 2016. The secretary-general of Rajya Sabha, Desh Deepak Verma, and officers of Lok Sabha and Rajya Sabha Secretariats also paid floral tributes to Sangma. A booklet containing the profile of PA Sangma, brought out in Hindi and English by the Lok Sabha Secretariat, was presented to the dignitaries. In Shillong, the National People’s Party (NPP) celebrated its sixth foundation day that coincides with Purno Sangma’s birthday. The programme was chaired by NPP working president D War. Among those who spoke on the occasion were MLA Gigur Myrthong, party’s state head WR Kharlukhi, general secretaries CR Lyngdoh and B K Sangma, who recalled the late Sangma’s contributions to public life and society. To commemorate the foundation day, the NPP flag was hoisted by War. A one minute silence was observed to honour the life and achievements of Purno Sangma.